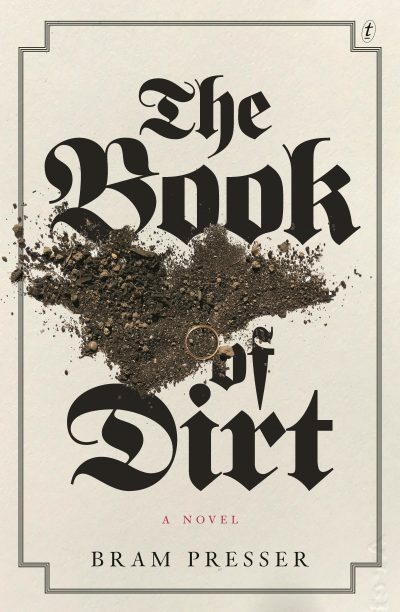 Author Bram Presser has won the 2018 Voss Literary Prize for The Book of Dirt (Text). The Voss Literary Prize is awarded to the best novel published in Australia in the previous year and is managed by the Australian University Heads of English, the peak body for the study of English at Australian universities. Presser’s novel was selected from a shortlist of six, which also included No More Boats (Felicity Castagna, Giramondo), The Last Garden (Eva Hornung, Text), The Choke (Sofie Laguna, A&U), Storyland (Catherine McKinnon, Fourth Estate), and Half Wild (Pip Smith, A&U). For more information about the prize, see the website.